Wiltshire plantation shutters brought to you by your local shutter experts Mark Williams and Rob Cole. The stunning county of Wiltshire is steeped in history and beauty, its vast plains and ancient towns and villages have inspired myth and legend for generations. With many of the county’s residences boasting architectural beauty, you want to know that when making additions to your home the company and products you choose will be sympathetic. Just Shutters has been trading in the Wiltshire area for many years and has now grown and extended countrywide. Our expertise in creating the perfect shutters, coupled with our flair for customer service (just see what hundreds of satisfied customers say on checkatrade) and our lifetime guarantee, make us the number one choice for shutters in Wiltshire. 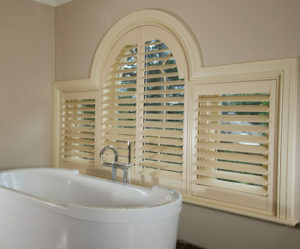 Why choose Just Shutters Wiltshire? The great news is that our bespoke internal shutters tick all the boxes. They offer incredible looks and a design statement to fit any home – modern or traditional we will have the perfect look for you! Aside from this, they also offer incredible practicality and long-term value. It’s not often a product can be deemed both beautiful and practical! Our trading history says it all: from small family roots in sunny Dorset, we have grown with our customer base as our reputation and quality have preceded us. Now with experts in a vast number of areas across the UK, we can provide the good old-fashioned ethics of a local expert business, while offering you the prices, lifetime guarantee and security of a much larger company. Contact us today for the very best shutters in Wiltshire. Please call us on 01722 440714 or follow the links below. We will show you just why we have earned our unrivalled reputation! Alternatively drop us an email and we will get back to you shortly. Customer satisfaction is truly at the heart of what we do at Just Shutters.